For food retailers, staff costs are typically 10-12% of sales and 42% of total opex. 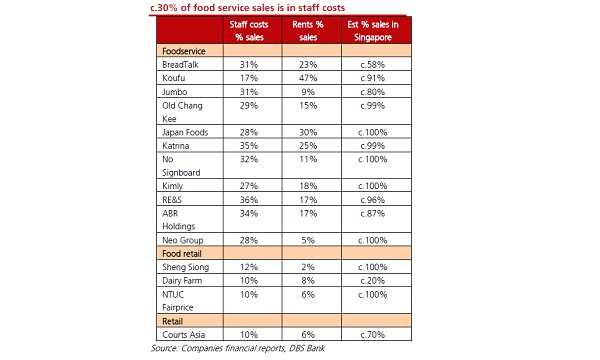 This chart from DBS shows how staff costs and rents account for the estimated sales of the top foodservice, food retail and companies. Overall, both occupies about 75-78% of their operating expenses. Food services labour costs are about 44% of total opex compared to 34% for rent expense. For food retailers, staff costs are typically 10-12% of sales and 42% of total opex. Furthermore, DBS added that the key challenge for companies, especially in food services, is finding local Singaporean staff to fill roles at the food outlets. Aside from this, operating costs are expected to increase polices are shaping companies to increase productivity by reducing labour or with technology. 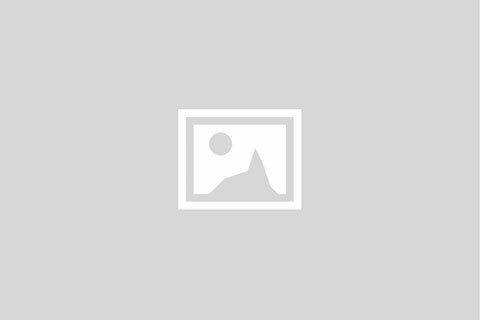 “Companies will therefore need to either 1) invest in technology to reduce labour requirement; or 2) replace foreign headcount with local workers. Both these options would increase depreciation costs and/or staff costs or both,” DBS said.